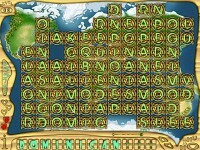 With Explore the World you search through a jungle of letters to find the hidden names of countries and its capitols! 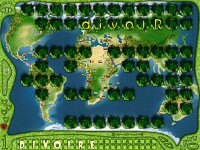 With Explore the World you search through a jungle of letters to find the hidden names of countries and its capitols. Beat the running count-down while discovering places you may never have heard of before! Search through forrests, swamps, with letters that dissapear unless you select them. The three degrees of difficulty also allow children to enjoy this tricky game. If the transparent or semi-transparent modes are too simple for you, chew on the face down mode which might give pause to the most experienced players. 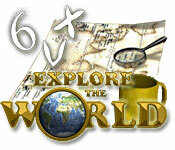 Tell someone about Explore the World Game!